Kit includes everything you need for your DJI S1000 Octocopter! This charger is incredibly versatile and has 6 available modes! Note: This charger requires a 12-24V DC power source with at least a 30A output. Order one from the drop-down menu on this product and save. 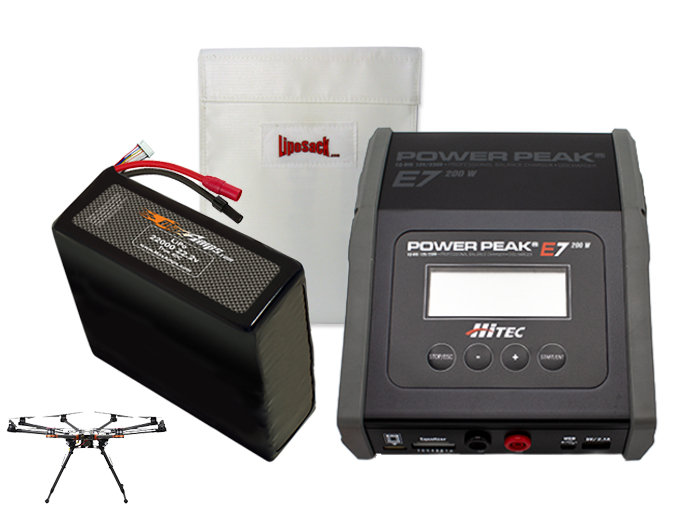 We exclusively use and recommend MaxAmps batteries for all our sUAS! The customer service and after sales support is only exceeded by the performance of their batteries! Thanks for great batteries and service. Love it. No problems. It runs better than I need it to. No need to take a shot in the dark buying those other brands. I have a custom built Octo. with eight Tarot 5008's. This battery runs it like a champ. I get just over 20min of flight with this battery. Great battery!